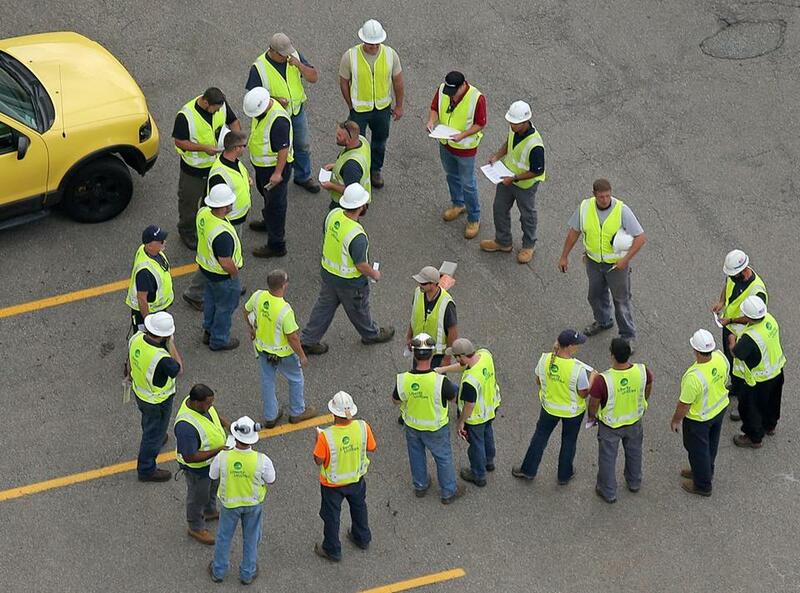 Crews worked at a staging area after Thursday’s gas explosions and fires. Could New England’s natural gas industry be facing its Fukushima Moment? But the explosions and fires that turned three Merrimack Valley communities into scenes of chaos have already prompted some in the gas industry to wonder about the politics when it comes time to seek approvals for expansion projects, big and small. Meanwhile, opponents were busy hunting for whatever information they could to add to their arguments. The incident reminded many people of the 2010 explosion in San Bruno, Calif., that killed eight people and leveled a neighborhood. (A jury eventually convicted utility PG&E of knowingly violating safety rules.) Another parallel: the 2011 Fukushima Daiichi reactor meltdown in Japan. The fallout from that manmade disaster had a chilling effect on the nuclear industry. Sure, this is bad news for Columbia Gas and its parent, NiSource — at least in the short-term. Columbia’s response in the first 24 hours after the fires along its lines seems lackluster, at best. Governor Charlie Baker took the unusual step today of putting another utility, Eversource, in charge of fixing the mess. Lawrence Mayor Dan Rivera said he is furious about the company’s inaction, and US Rep. Seth Moulton took to Twitter to lambaste a Columbia exec for not returning his phone calls. Shares in Columbia parent NiSource plunged nearly 12 percent on Friday, lopping more than $1 billion off the company’s market value. While the investigations are only beginning, the potential fines could be huge. The loss to investors who had thought NiSource was a safe bet could be even bigger. The ripple effects, though, could go well beyond NiSource and its subsidiaries. Industry lobbyists have had no luck on Beacon Hill so far in promoting the concept that the costs of gas pipeline expansion projects should be passed on to electric ratepayers. To many in the Legislature, natural gas is already seen as Public Enemy No. 1. That resistance has largely been because of environmental factors. But now, lawmakers have a dramatic new reason to scrutinize the industry.